On December 31, 2015, a catastrophic apartment fire broke out in South Everett in an older, World War II era building. One person died and 15 were injured, but many more were left in need of help. The Red Cross responded to the Casino Road fire, but so did another organization called Hand in Hand. Their mission is to help children in the foster care system and low-income families in the greater Snohomish County region. Since that night, the Red Cross and Hand in Hand have maintained contact and continued to partner on efforts to support the local community. Jorge Galindo, a volunteer with Hand in Hand Kids, remembers the night of the fire. The Red Cross provided shelter and disaster services for the displaced residents, while Hand in Hand Kids helped with food, clothing and translating for families with bilingual needs. “By working together, we were able to partner and support those who needed help,” said Galindo. 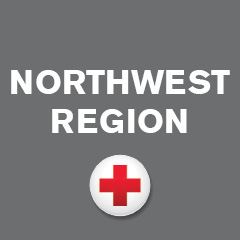 To help with the Spanish language classes or other aspects of emergency preparedness, contact the Snohomish County Red Cross at (425) 252-4103.